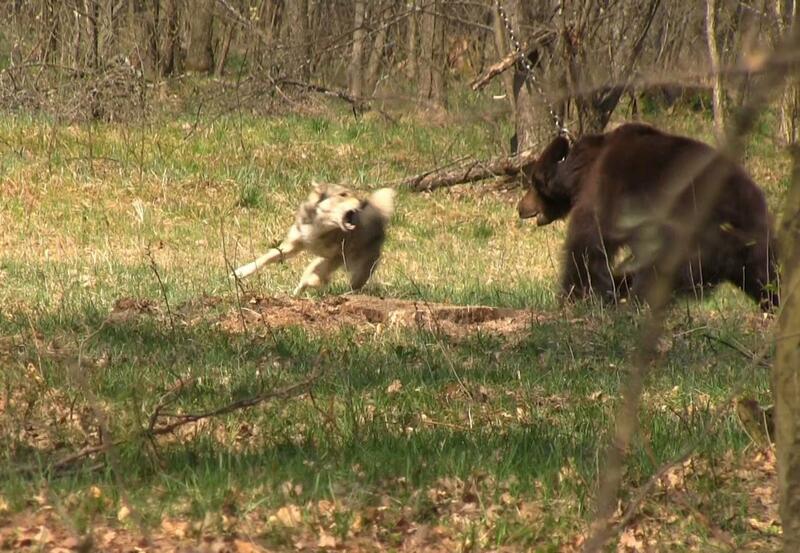 For decades, bears and wolves in Ukraine were used as bait to train hunting dogs. During the bloody fights, the defenceless animals were usually chained. Often their claws were ripped out without anaesthetic to avoid serious injury to the dogs. We fought this cruel practice for years by organising protests and international petitions. Finally, success was achieved in April 2015: the Ukrainian parliament adopted a law banning the use of bears and wolves for training hunting dogs. The new law also prohibits the organisation and holding of bear fights, as well as the running of so-called fighting bear stations. This ban was an important milestone in our work in Ukraine. Our long-term goal had always been to generally prohibit the abuse of bears for fights and to outlaw private bear-keeping. Two years later, the laws are in force. But we estimate that around 15 former baiting bears still languish in tiny cages at fighting bear stations. In 2017 and 2018, we were able to free several bears from these cages: Tyson, Mashutka and lastly baiting bear Kvitka were rescued and today live in the newly constructed BEAR SANCTUARY Domazhyr run by FOUR PAWS. 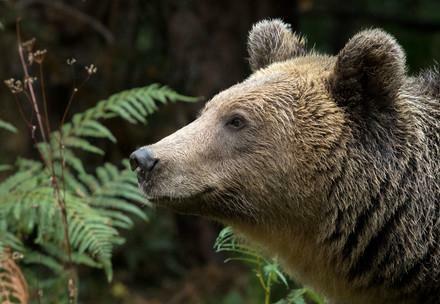 However, our struggle to protect bears in Ukraine is not over. Sadly, the keeping of bears in hunting stations is not forbidden and bear fights are still being held illegally. Also to ban the keeping of brown bears on hunting stations. Bear-baiting continues to take place illegally. To ban also other cruel keepings of brown bears. 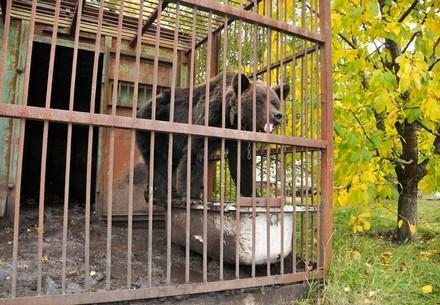 Over 80 bears still live in other appalling conditions in Ukraine. They must be freed, too! Please support our work for the baiting bears in Ukraine!